Lite'n Foamy is the economical and sustainable choice for end-users. 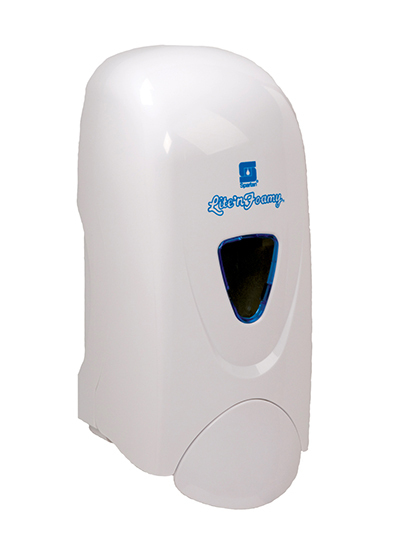 The Lite'n Foamy Foam Dispenser works with the Lite'n Foamy line of hand washes and sanitizers to produce the right amount of foam for each application. Available in black or white, the attractive dispensing cabinet features a tamper proof lock and a 1000 ml. reservoir yielding over 1200 washes per tank.